Jeremy Corbyn risked sparking a constitutional row today as he suggested the Queen should apologise for using offshore tax havens. Corbyn, a longstanding campaigner against tax avoidance, spoke out after the “Paradise Papers” leaks revealed the monarch’s estate had put millions of pounds into Bermuda and the Cayman Islands. As the full scale of the data breach became clear – based on some 13 million files from a law firm based in Bermuda – John McDonnell said Theresa May had “questions to answer” while Labour hauled a Treasury minister to the Commons to provide an explanation. It is Corbyn’s intervention at the annual conference of the Confederation of British Industry, however, that will prompt most debate. The Labour leader was asked if the Queen should say sorry following the revelation by the BBC’s Panaroma that the Duchy of Lancaster, the estate which manages the Queen’s private wealth, funnelled about £10m into the Cayman Islands and Bermuda. “Anyone that is putting money into tax havens… should do two things, not just apologise for it [but] recognise what it does to our society”, Corbyn said. 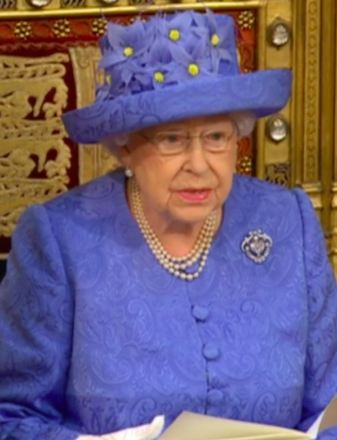 There is no suggestion that the Queen was involved in the investment decisions. The duchy acted within the law and is not thought to have been involved in the decisions made by the fund managers. Earlier today McDonnell, the shadow chancellor, said May must make clear what she knew about the affairs of Lord Ashcroft, the former Tory treasurer and a major party donor, who according to Panorama received £150m from Bermuda over the course of a decade. “What did she and the Conservative Party know about Ashcroft’s tax affairs and what due diligence checks were applied before she agreed to the Conservative Party accepting significant donations from him?” McDonnell said. Ashcroft has not yet commented.